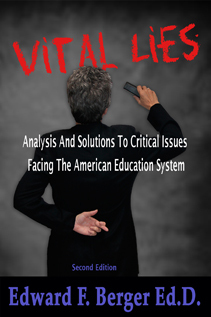 The powerful education reform movement is well underway. Taxpayers must be pleased with the progress so far. Legislators have turned the distribution of public tax dollars collected for public schools over to irresponsible hedge fund billionaires, profit-driven companies like Pearson PLC, foundations run by proven ‘winners’ like Eli Broad, Billy Gates, and the Waltons, and compromised public servants placed in the USDOE and the Departments of Education in most states. The success of the privatization (pronounced reform) movement has led to new thinking based upon reliable profit-generating information. The next targets, according reliableto word on the street, are the terribly wasteful and ill-managed athletic programs now being run by our public schools and universities. The analysts are drooling as they peruse financial data from middle schools, high schools, community colleges, state colleges and especially major universities. The information of projected earning potential for corporate citizens is motivational. This new wealth pool will enhance every portfolio. It projects the income from the “gifting” of public facilities to corporations, and the operation of corporatized athletics. Most encouraging is that precedents already exists in most states for turning over facilities paid for by local citizens, to charter (pronounced partial) schools. New York City is a classic example of this. None dare call it theft because the distribution of public resources is the responsibility of legislatures. Stripping athletics and athletic programs from public schools provides the seed money that will enhance investors and provide corporate sports (pronounced gladiatorial) events for the public. Let’s postulate using the State of Arizona as a model. Arizona has been leading the privatizing and profiteering movement for over twenty years. Arizona has three outstanding universities, each with big budget athletic programs. The University of Arizona has approx. 45,000 enrolled. The University of Northern Arizona enrolls about 23,000, and Arizona State University has the largest enrollment at over 80,000 – plus the massive potential cash-cow, Sun Devils Stadium. The newly elected Governor follows a long line of state officials who have been placed through gerrymandering, through control of the primaries, by ALEC members (American Legislative Exchange Council), and by the Koch-John Birch Society cults who run the state. The Governor has clearly stated “… I want to change the way money is spent to put more dollars in the classroom.” He is chopping-slashing-destroying university and public school budgets one might guess, to establish the need for athletic reform. The elephant in the room is literally sitting on billions of dollars that they claim do not benefit the classroom. As a review of recent leadership decisions at ASU, for example, shows that the privatization of university resources is already being considered. Many Libertarians and ‘true-believers’ have been working on these reforms for years. Charter schools are denied athletic stadiums or even competitive athletic programs. Legislators have required that these partial schools be able to use public school facilities, which creates chaos and brings us one step closer to the need for corporate run athletic programs. 1)	The silly and controversial rules about academic eligibility will end. Being a good athlete is not dependent on ability to read, compute, or make grades. Athletic eligibility will be based on performance measured by value added to the corporation. Athletes may be required to take on-line courses, but even that may not be necessary. 2)	Competitive sports at the high school level will be removed from the control of educators and elected school boards and taken over by competitively selected corporate program managers. The best athletes from a region or group of schools will represent corporate banners and totemic symbols in the corporate games. Public school schedules will be arranged by the corporate leaders to provide time for students to attend required athletic events. Admission to the corporate games will be paid by the taxpayers of course. 3)	To support the stripping-off of athletic facilities, corporations can lease stadiums and training facilities for as little as a dollar a year. Out of necessity, the taxpayers will continue to be responsible for upkeep and maintenance. Surely the benefits to the greater community outweigh the costs to local schools and taxpayers. 4)	Schools will be able to focus on academics (pronounced test prep) and most important, the tests necessary to collect information about racial limitations, future potential, social class, and family social, mental health, and economic status. 5)	Extracurricular activities like pep rallies, cheer leading, and marching bands at halftime will be ‘away from school’ corporate responsibilities. The training of musicians is obviously something that can best be left to the schools. 6)	Using the non-profit NBA model, all earnings from these corporate athletic programs will go to investors pronounced oligarchy) and to high salaries for the best managers. There will be a pay scale that guarantees athletes are compensated adequately, although many powerful business men and women are in favor of the Iron Law of Wages, which creates motivation and hard work. Reliable sources assert that as wonderful as this reform movement sounds, it may be a year or two before objections can be stifled and the first Athletic Reform Movement succeeds. It will be difficult to strip the athletic supporters away from the old guard as their jobs in public school sports programs are eliminated, but look to Arizona to lead the way. Arizona may be the first state to have an Athletic Reform Governor working with athletic supporters in the Legislature.